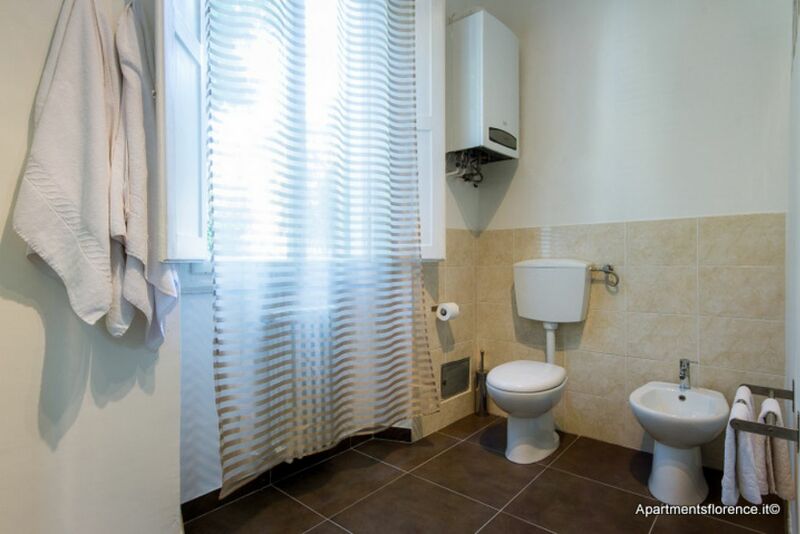 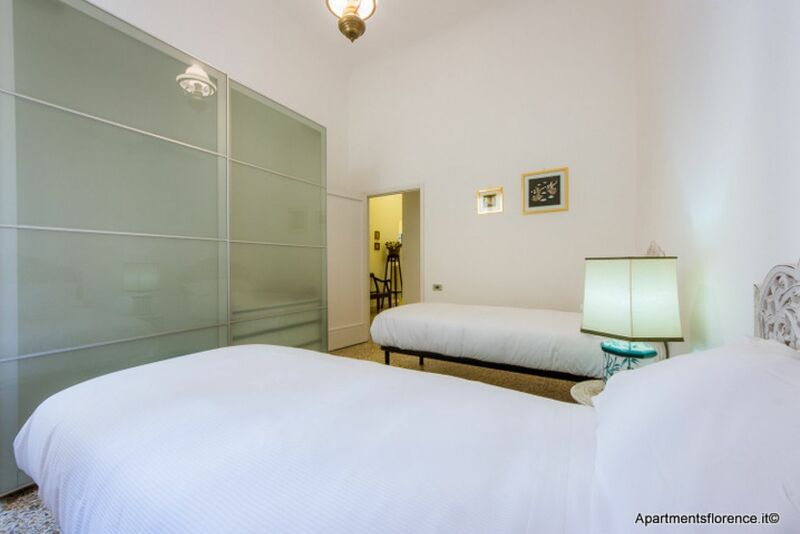 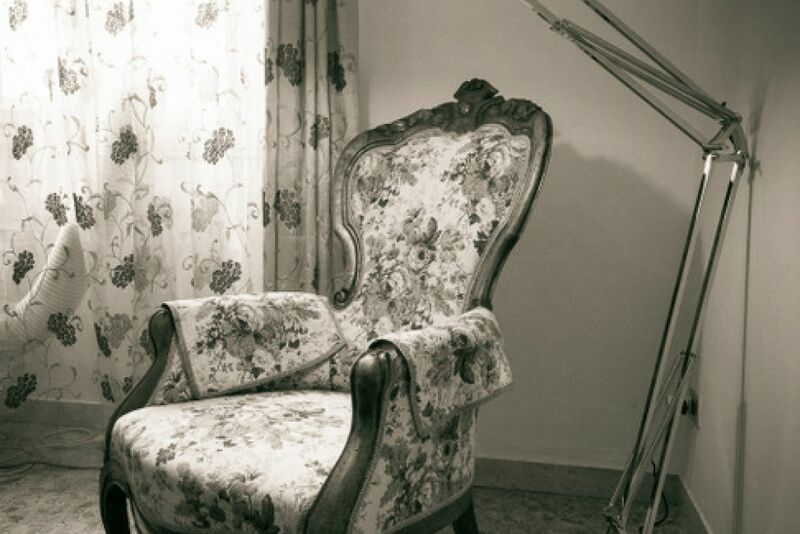 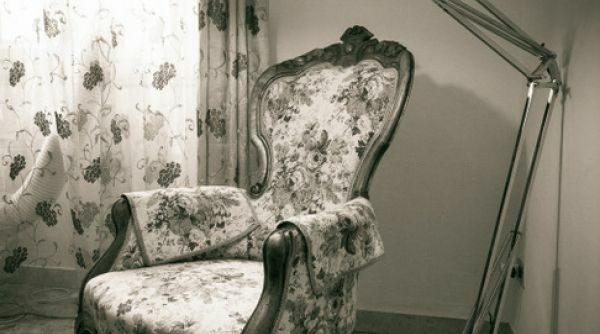 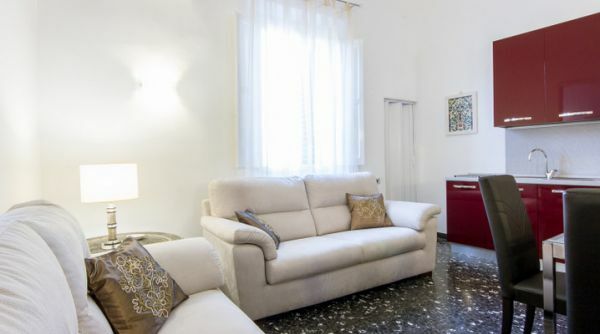 Florence apartment for rent, quiet and welcoming in Italy. 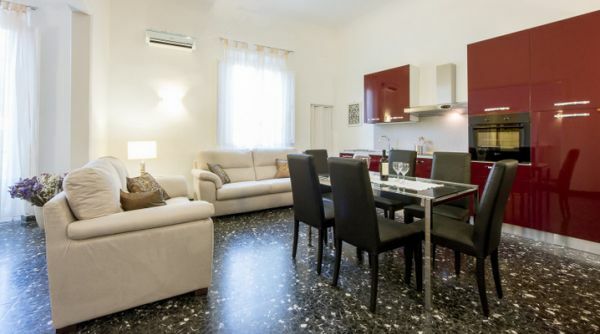 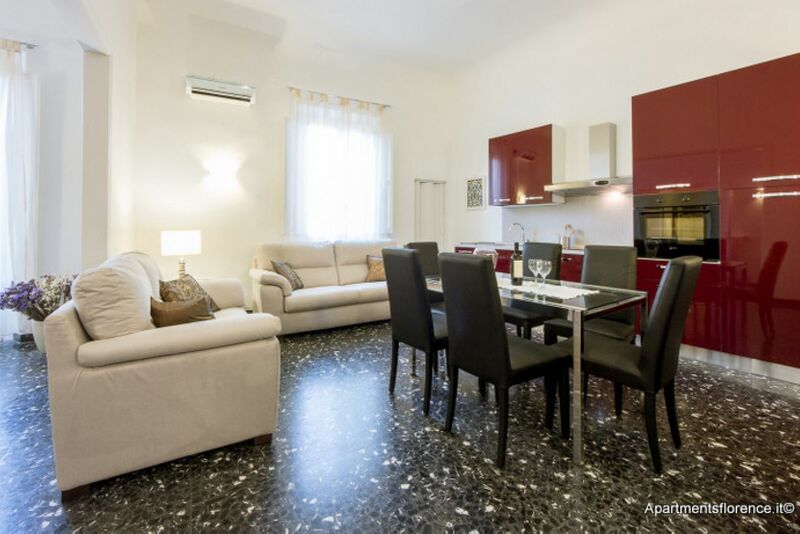 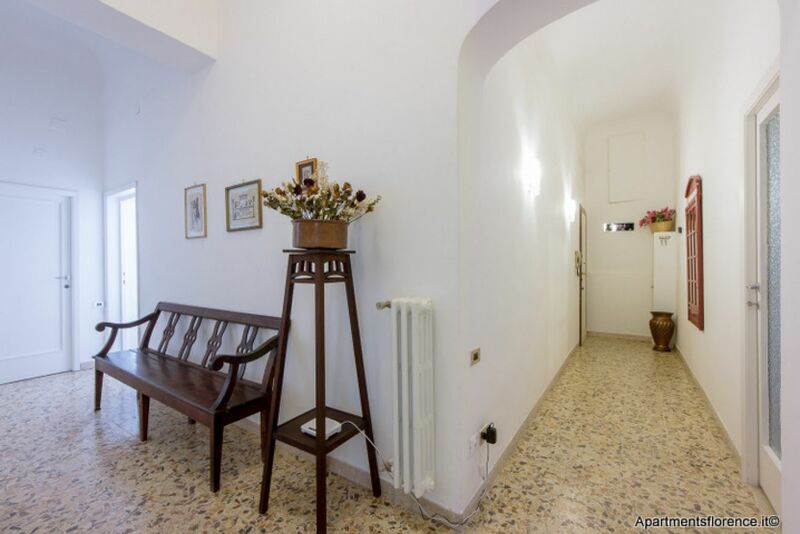 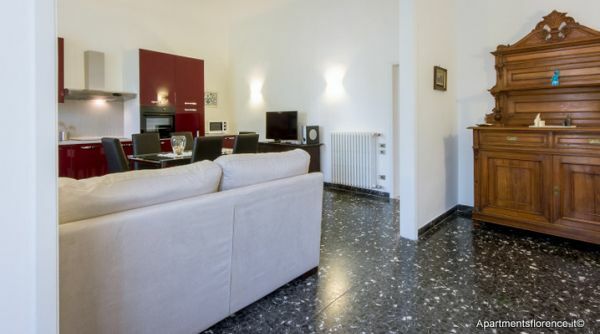 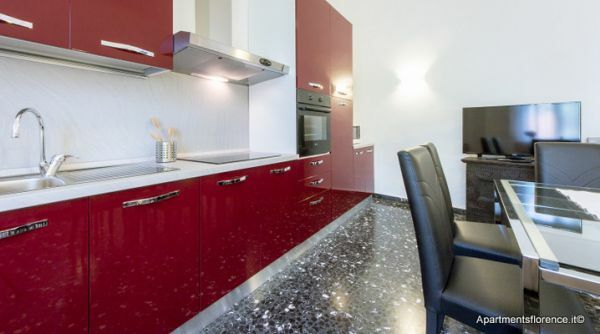 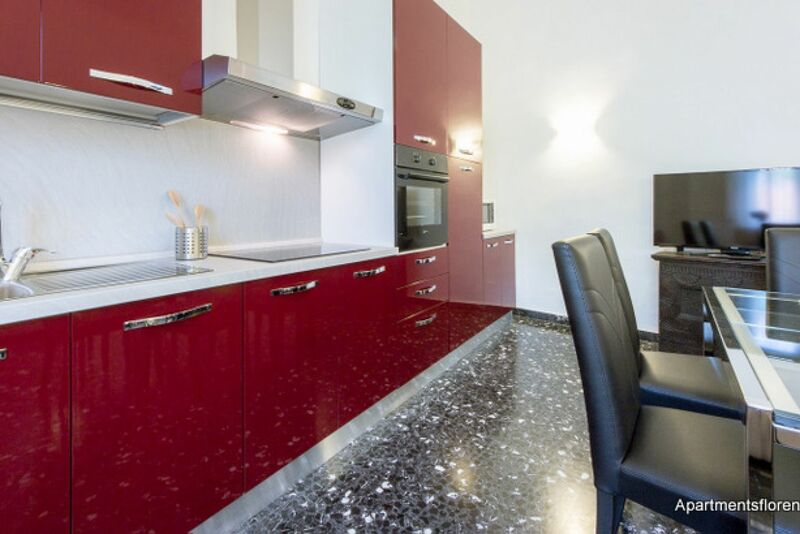 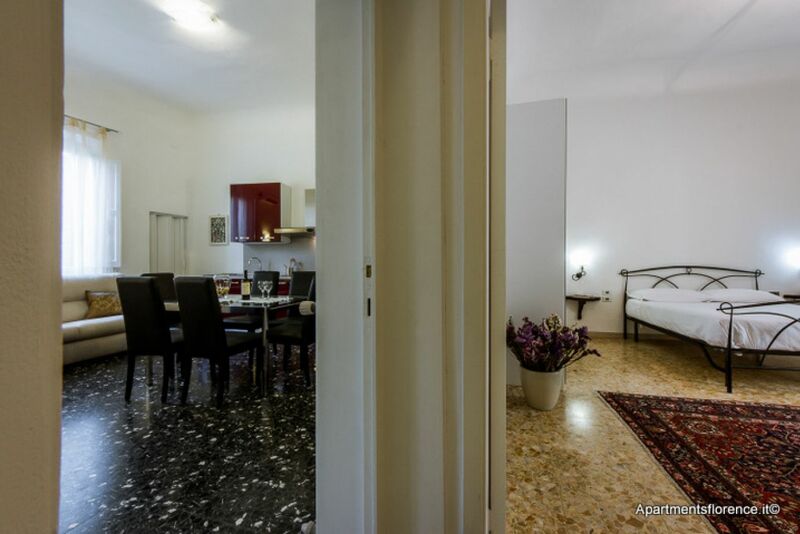 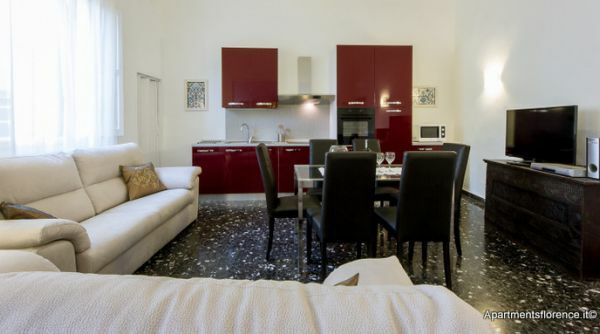 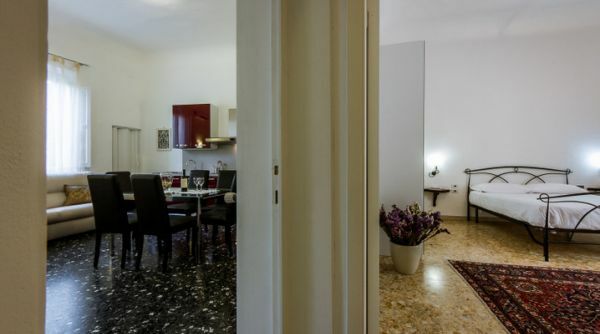 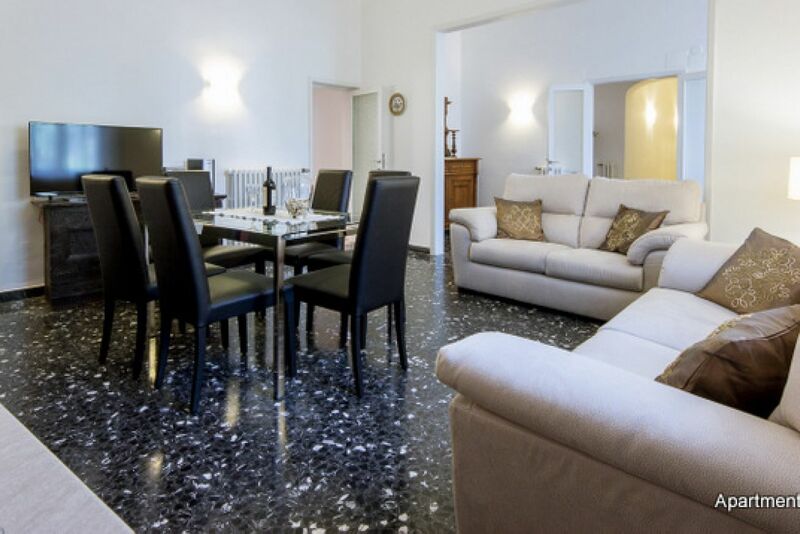 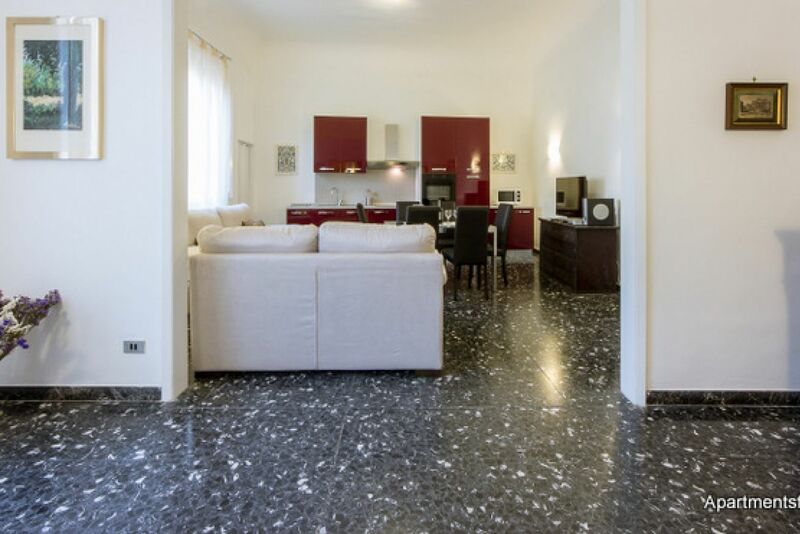 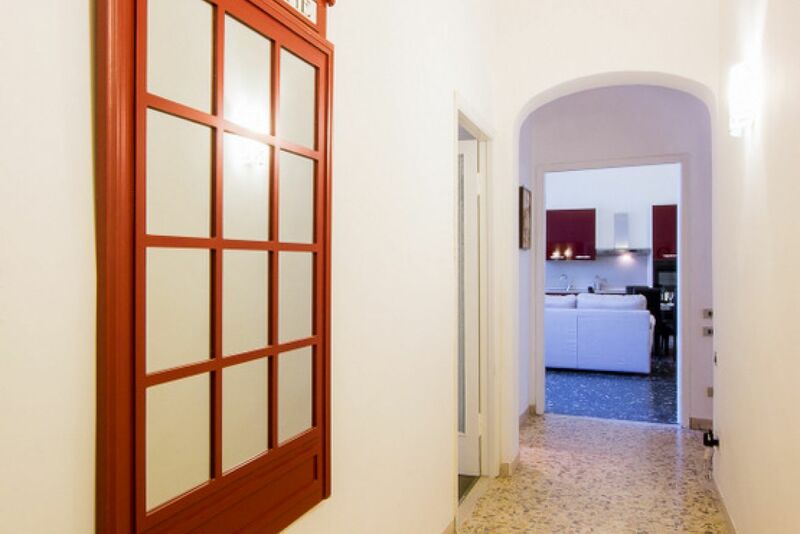 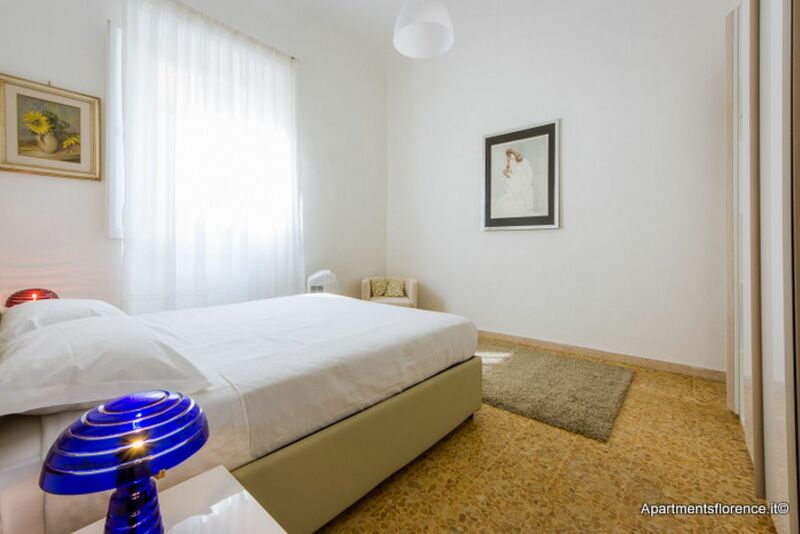 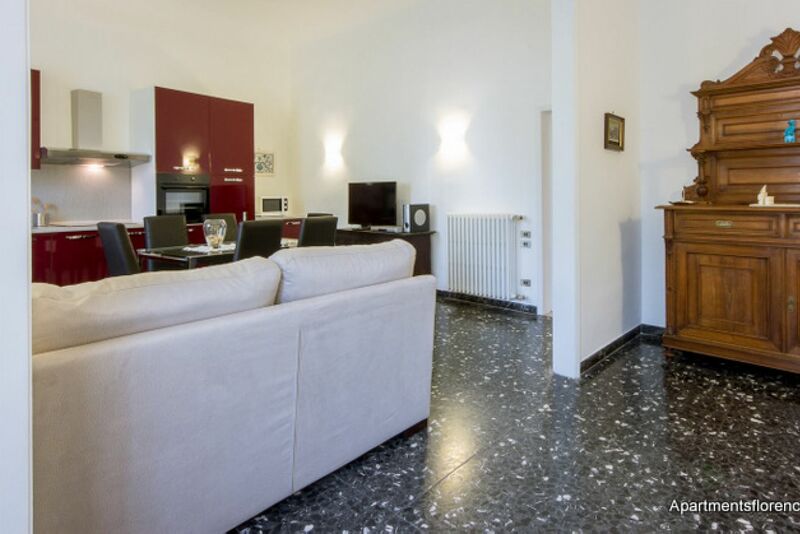 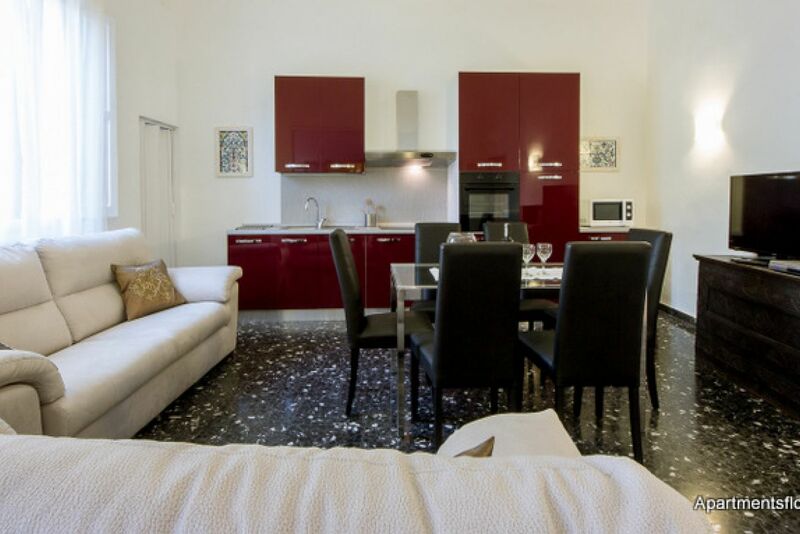 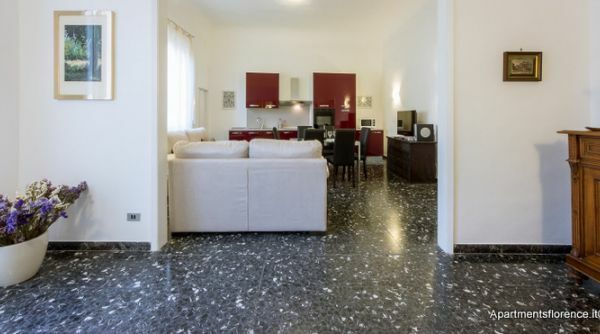 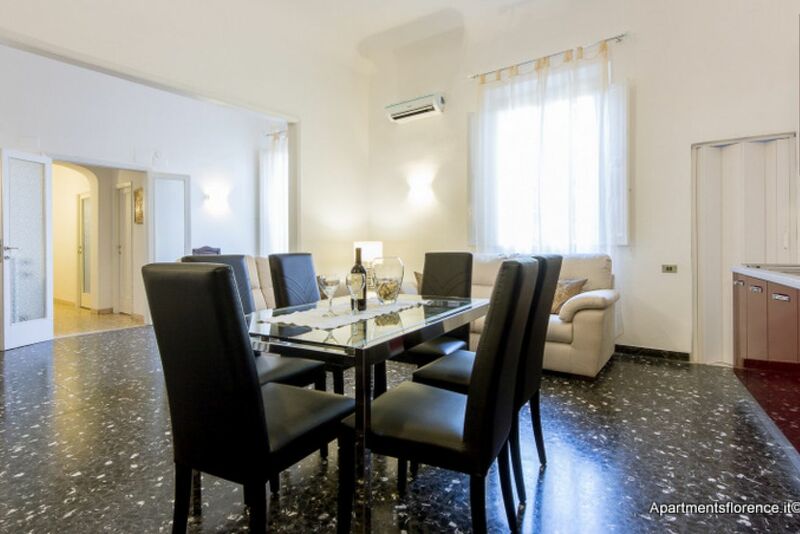 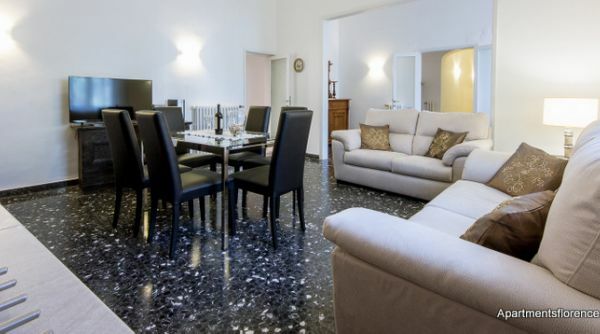 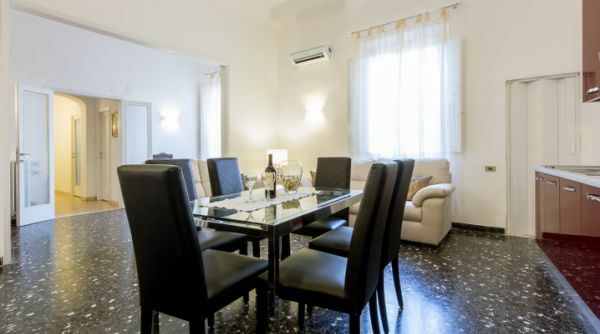 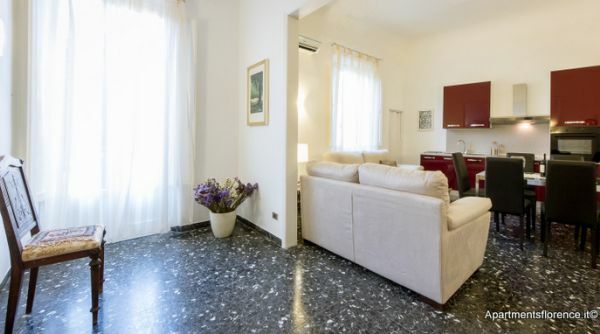 This lovely, modern and welcoming apartment is an exceptionally well located place to spend your holiday in Florence. 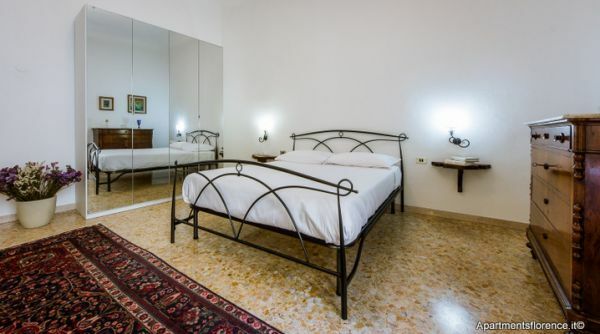 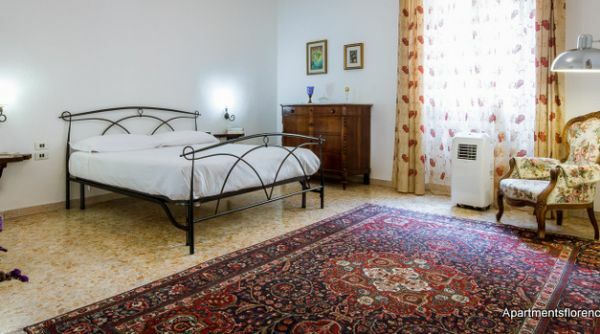 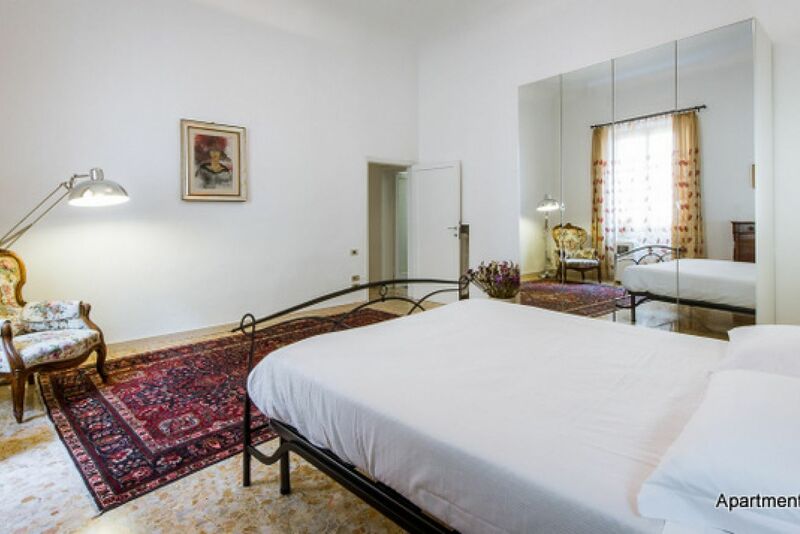 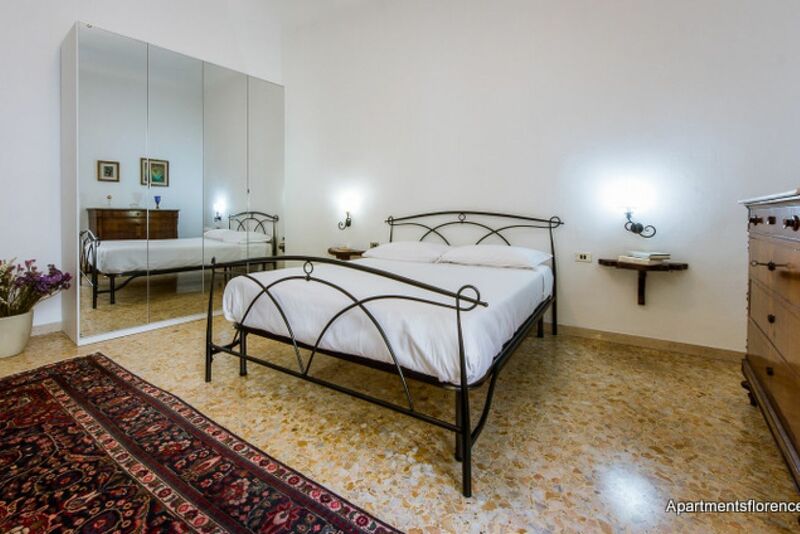 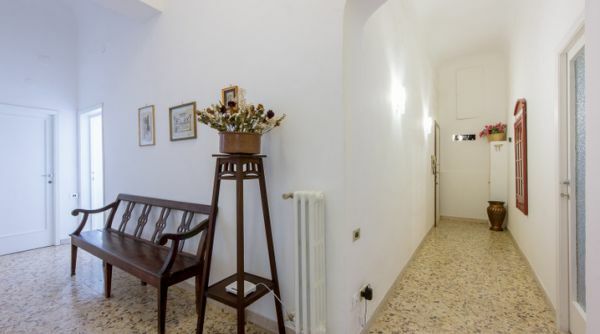 This wonderful apartment is located on the first floor of and historic building, in Via Cittadella, a characteristic street just around the corner from Santa Maria Novella Central Station, right in the heart of downtown Florence. 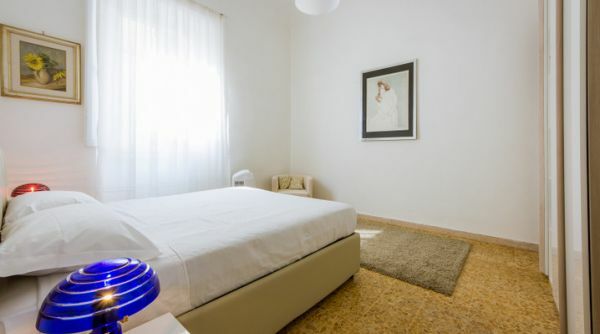 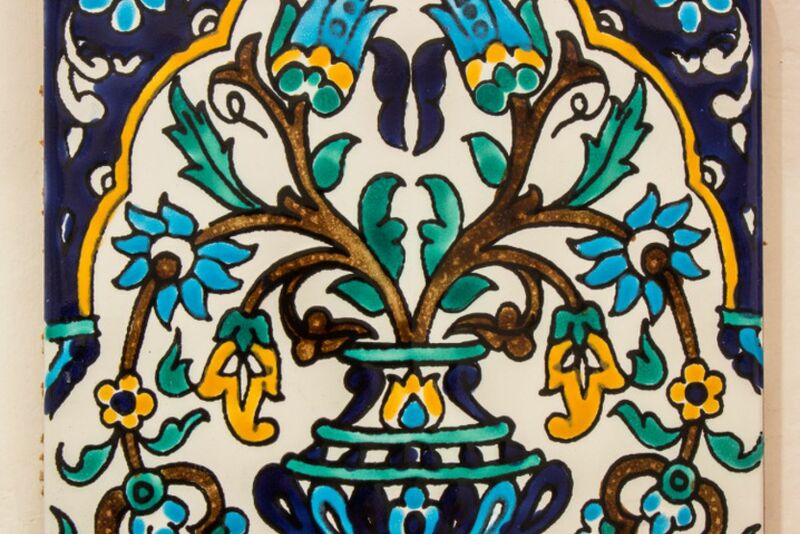 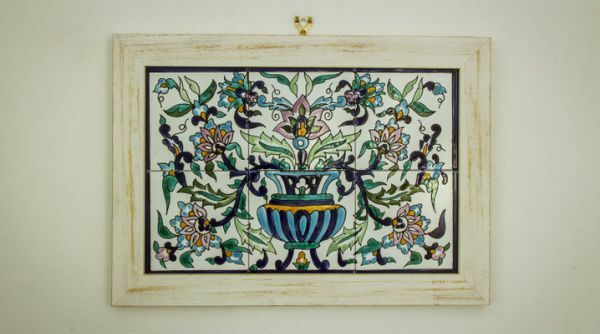 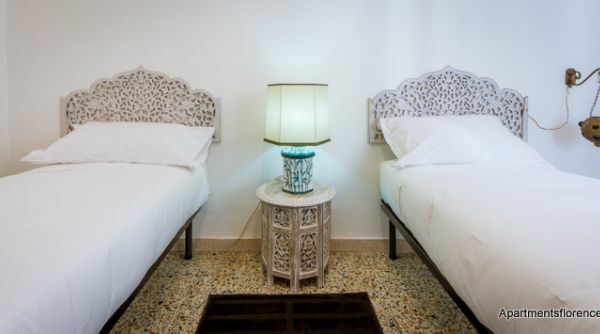 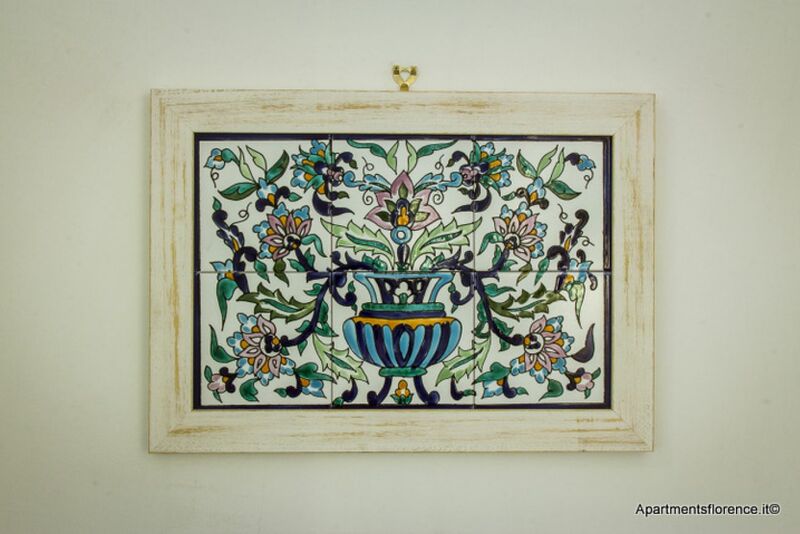 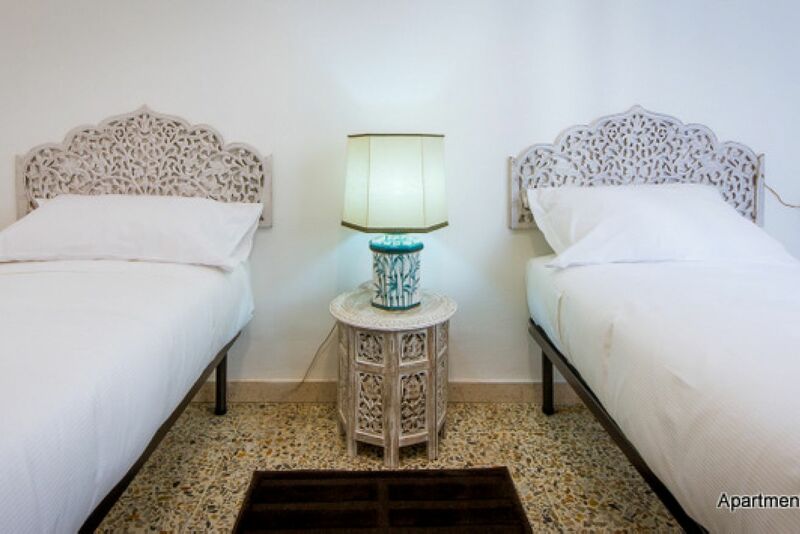 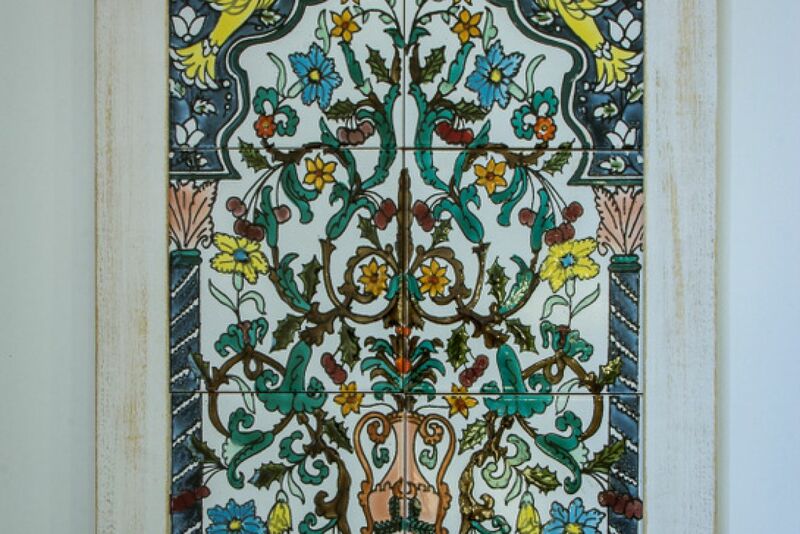 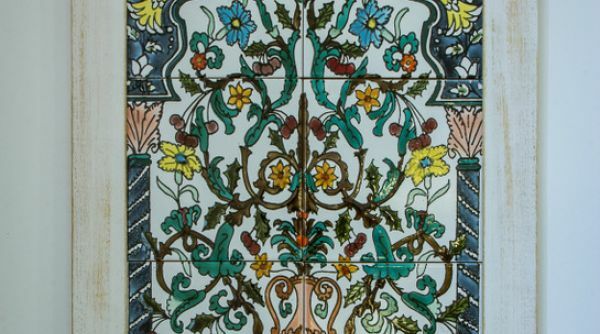 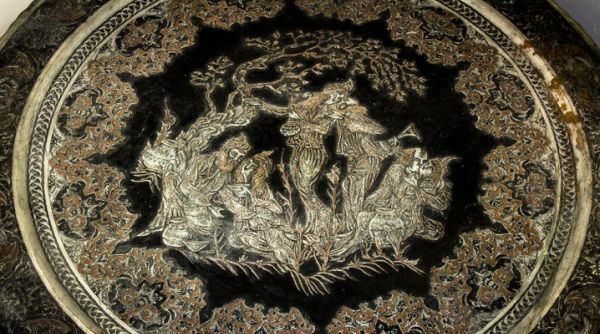 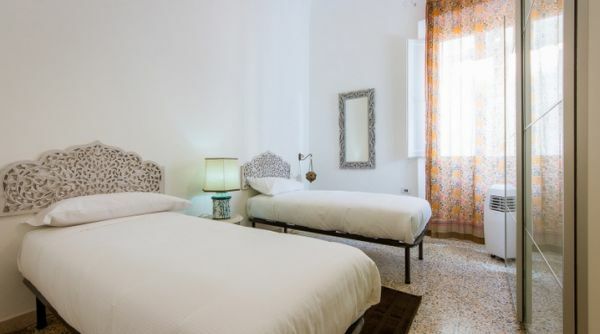 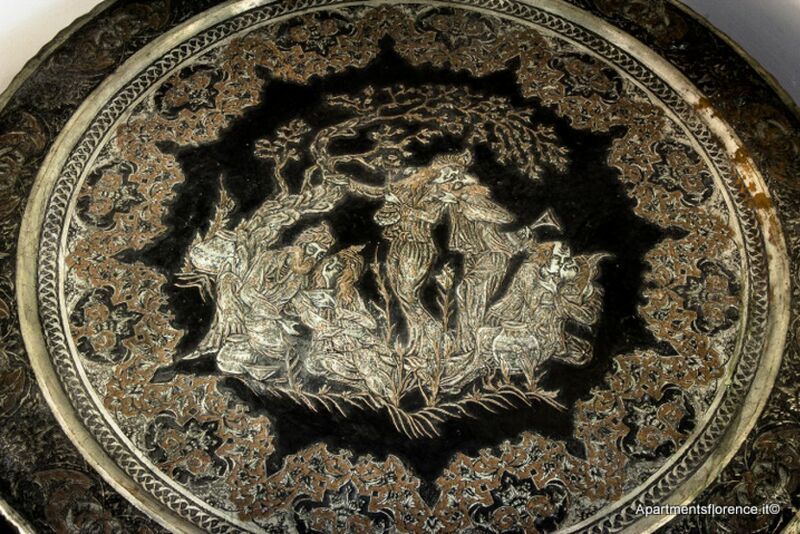 The whole place has been recently renovated and decorated with taste, elegance and prime choice amenities. 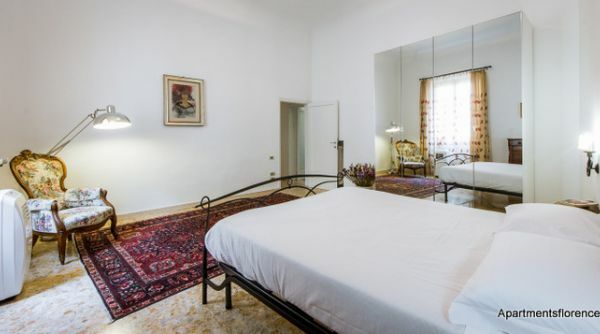 You'll immediately notice that natural light, silence and space are this apartment's main features, thanks to its many windows, most of which facing internal courtyards and gardens, and to its high ceilings and spacious rooms. 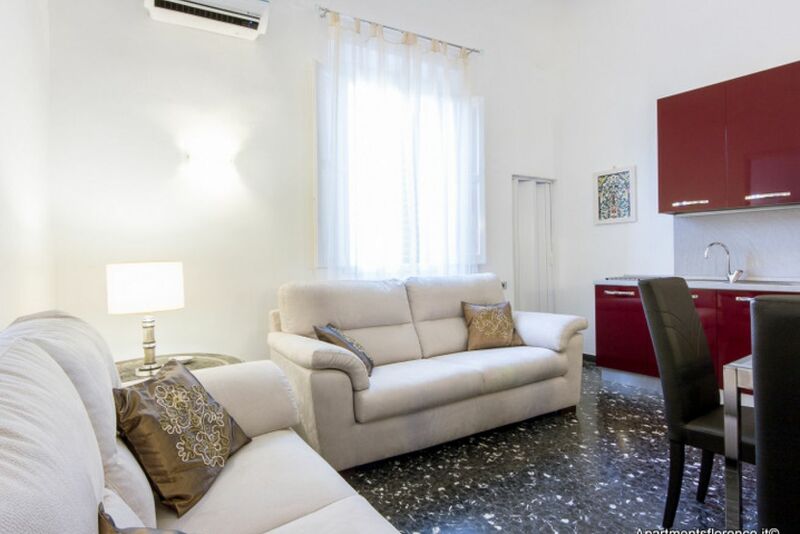 The apartment's living area consists of a modern, newly renovated kitchen, fully equipped with anything you may need to cook your favourite meals, a spacious dining table and two cozy sofas with flat screen Tv. 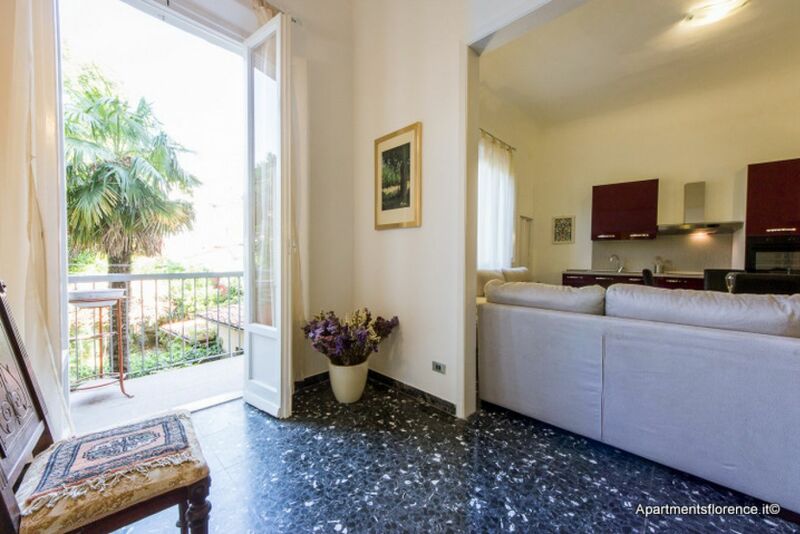 From the living area you'll have access to a wonderful balcony, overlooking courtyards and trees from the gardens downstairs. 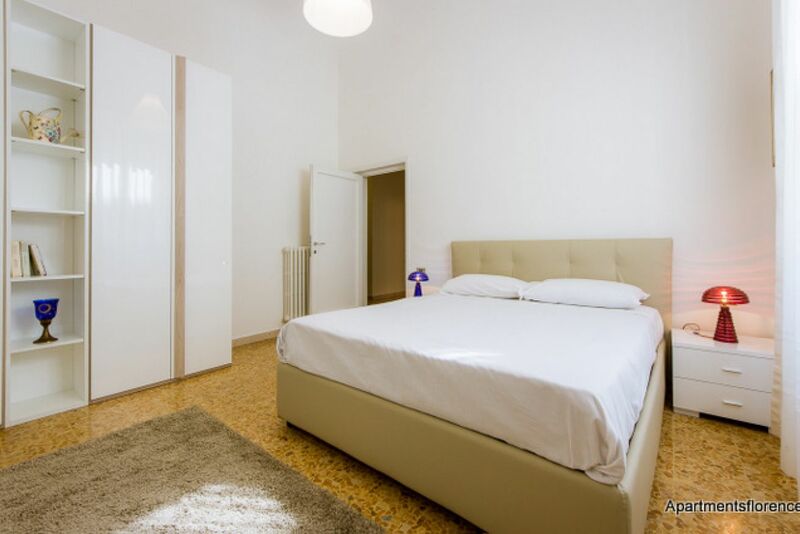 This apartment can accommodate up to six people thanks to its three bedrooms and two bathrooms. 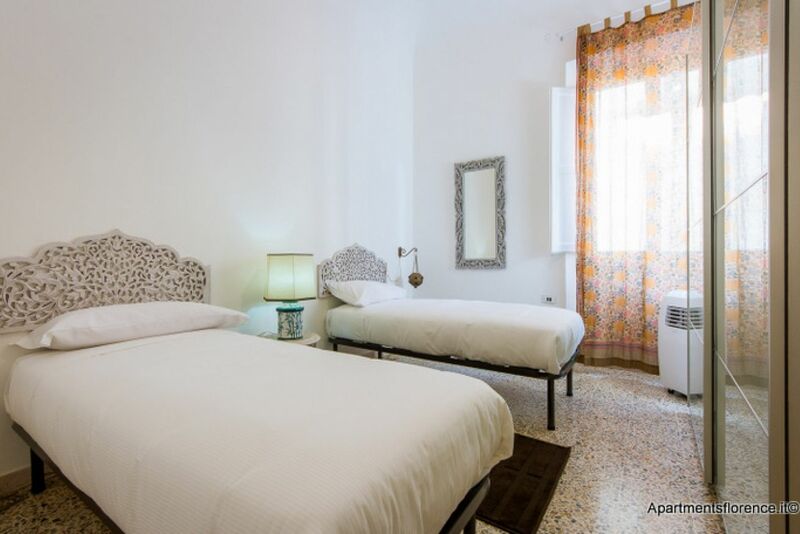 All of the bedrooms are incredibly bright and airy, flooded with natural light, and decorated in a sober, comfortable and cozy style. 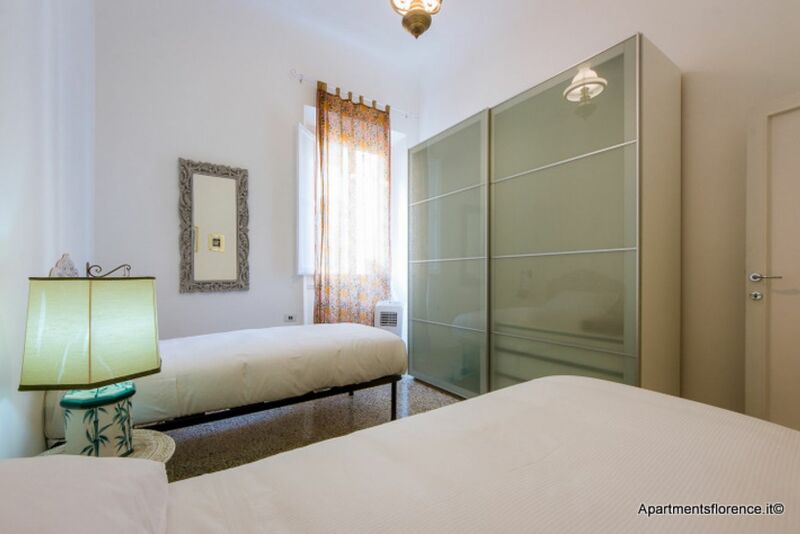 Two of the bedrooms feature queen size beds, closets and desks. 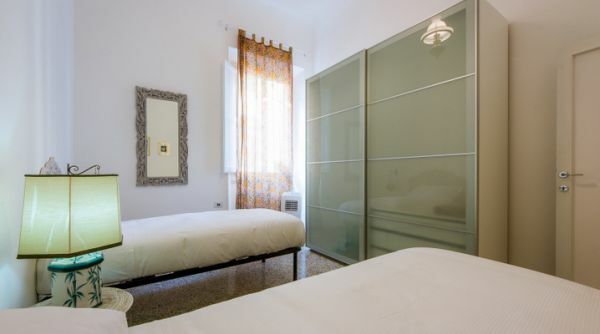 The third bedroom features a couple of single beds and a closet. 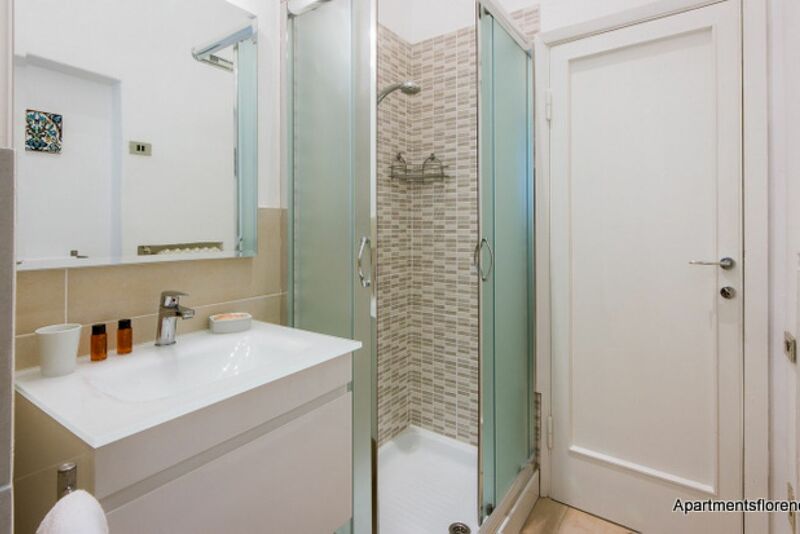 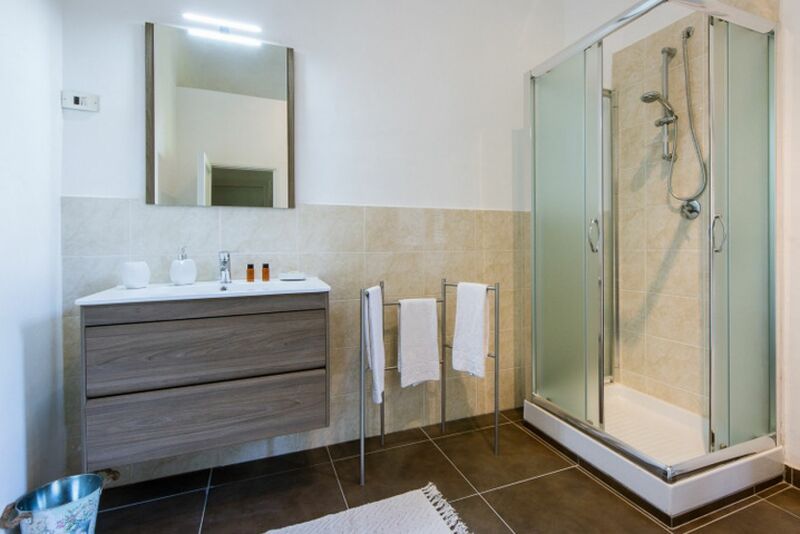 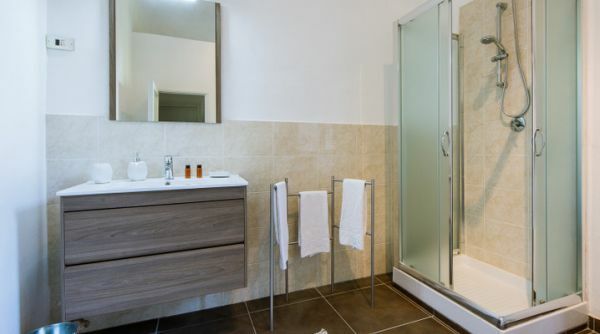 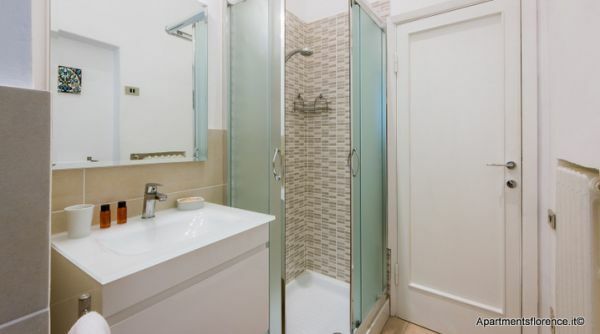 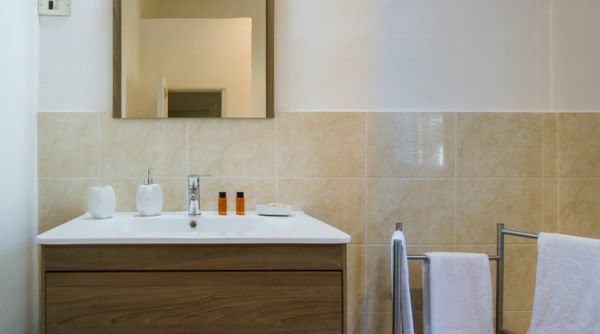 The bathrooms have also been newly redone and feature spacious walk-in showers. 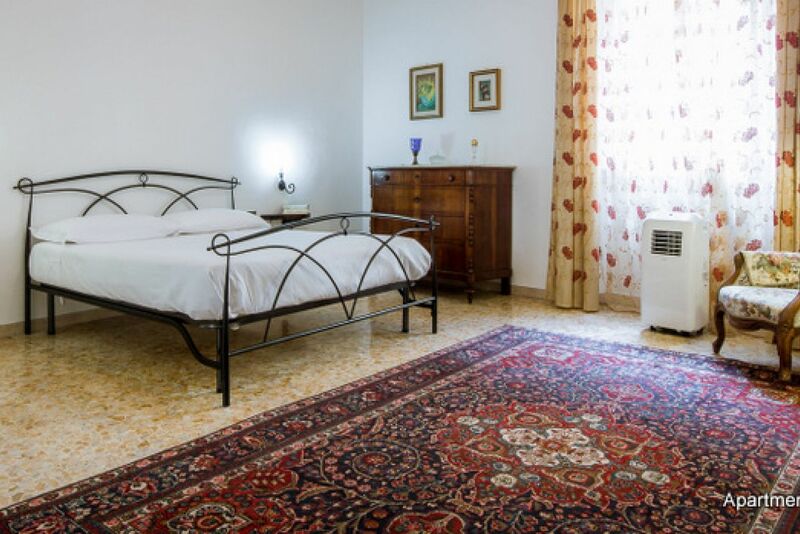 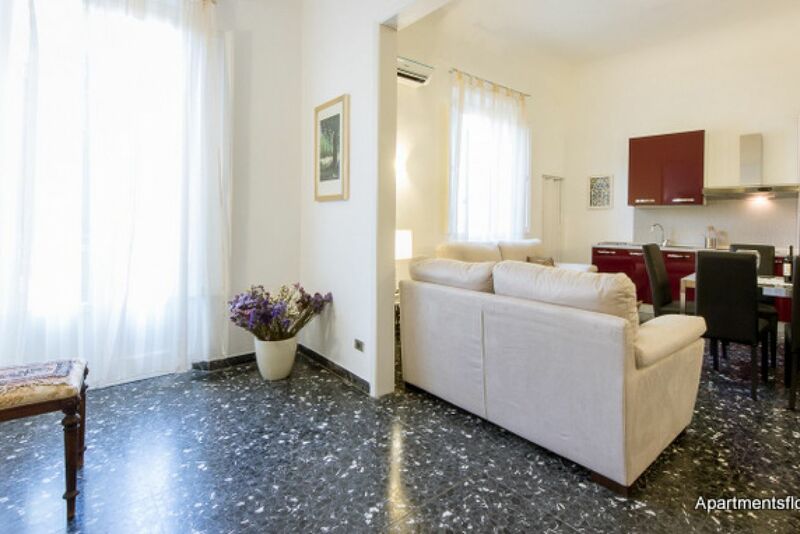 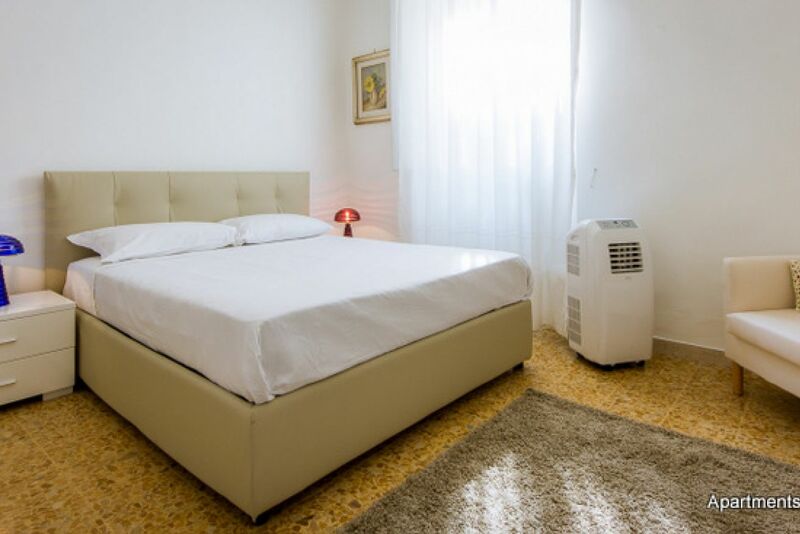 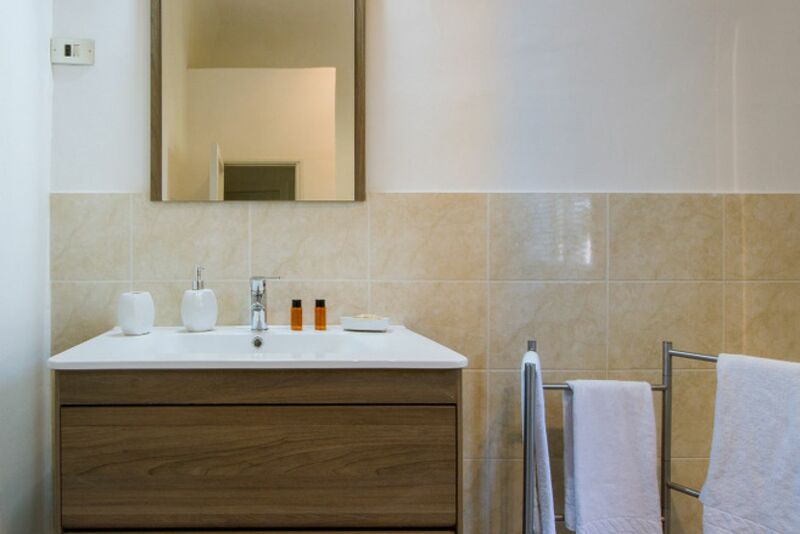 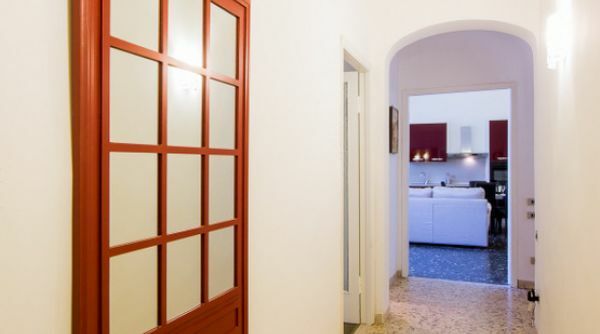 This lovely, modern and welcoming apartment is the ideal choice for a large family or a group of friends looking for a cozy, comfortable and exceptionally located place to spend their holiday in Florence. 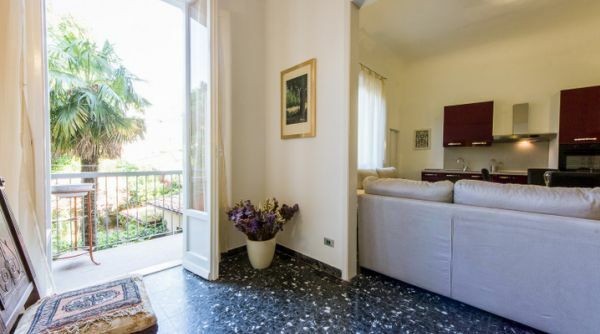 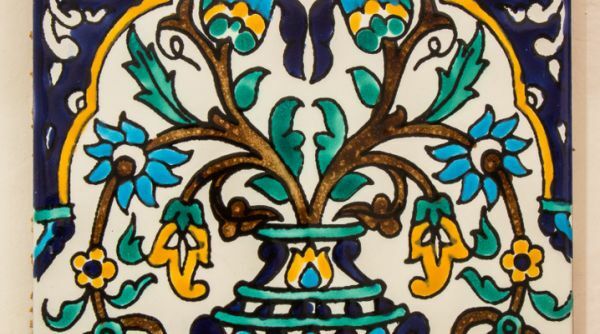 Choosing Cittadella you'd truly be nested in the heart of Florence, two minutes walk from the Central Station, well connected to every part of the city through buses and trains, and withing walking distance from all of Florence's beauties and attractions. 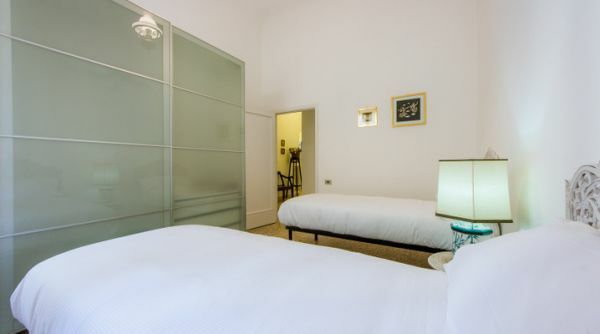 The neighbourhood is a lively, multi-cultural area of the city, full of restaurants, shops, cinemas, wine bars and clubs: everything you need for an unforgettable experience in Florence.